Can Auden Schendler Save Skiing? Near the top of Aspen's Ajax Mountain, beyond the rope boundary in a clearing of thick pine, a wooden bench swings from two trees. The spot faces south. The late-afternoon light casts a glow as the sun dances with the Elk Mountains above and beyond. Not unlike many such shrines in the ski world, the bench is an ideal place to get away from the noise of the resort and grill hot dogs and drink beers with friends, or to simply be in a quiet place, alone with one's thoughts. Here, it's easy to find perspective, grace, and gratitude. To remember why the mountains, and a life among them, is important. It is with those ideas in mind that climate activist Auden Schendler finds inherent value in skiing. Walter Paepcke, in 1946, founded the Aspen Skiing Company as a place to expose people to different ideas, "where the human spirit can flourish." The Aspen Music Festival and School, the Aspen Institute, and the Aspen Center for Physics all have international renown. 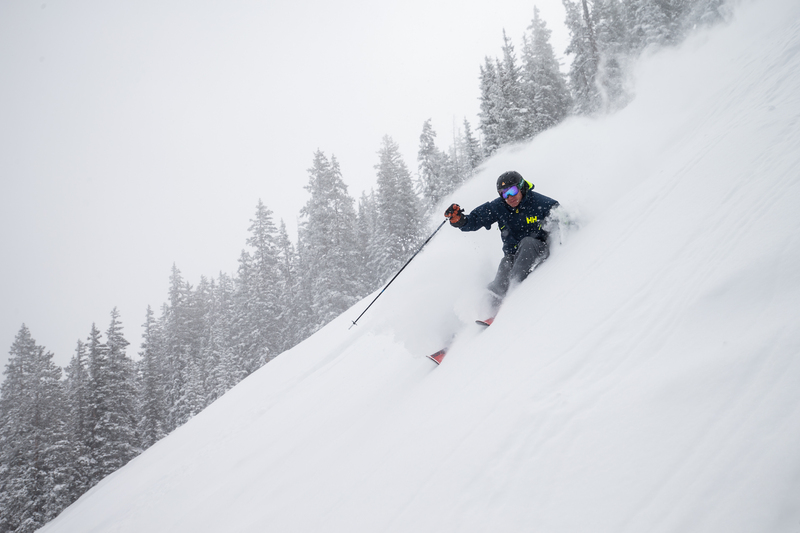 Recently, the town in central Colorado has also become the definitive leader in ski town environmentalism—no other ski area has a team dedicated to influencing domestic climate policy—and a nationally recognized player on the issue. That is due to Schendler, ASC's vice president for environmental sustainability, Protect Our Winters' Chairman of the Board, a Basalt Town Council member, and the author of "Getting Green Done: Hard Truths from the Front Lines of the Sustainability Revolution." 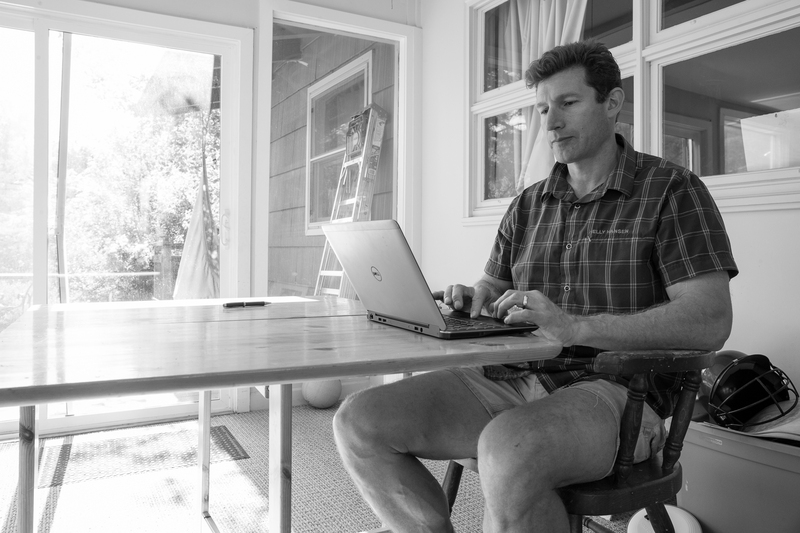 "He's not just a nonprofit guy from Washington," says Protect Our Winters' Chris Steinkamp. "He's like us. He's a skier. He's a climber. He's a dirtbag. So he really has the passion for this sport and this life that we all have. 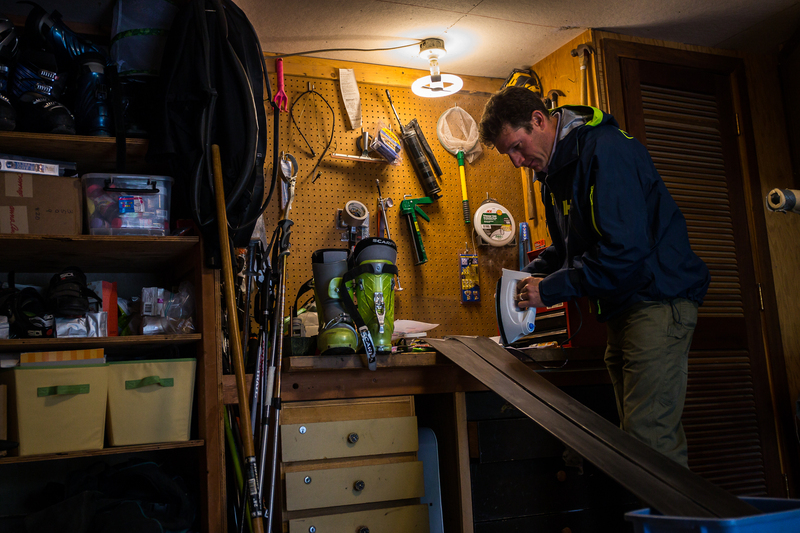 If anyone is going to be fighting climate change on behalf of the ski industry, he is the guy." 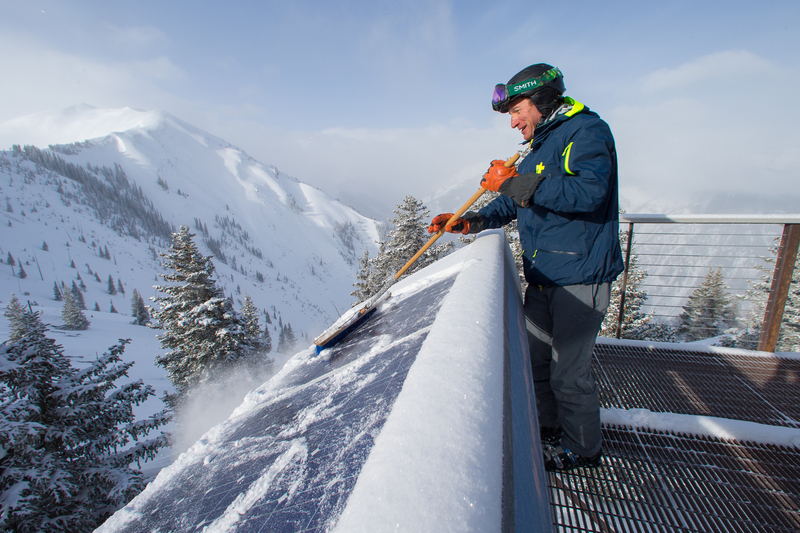 Since Schendler, 46, began work in Aspen in 1999, they've achieved a long list of operational successes (including using methane from a defunct coal mine to annually generate 24 million kilowatt hours—about enough to power four ski hills, three hotels, and 17 restaurants; constructing LEED Gold, Silver, and Bronze buildings; and putting POW logos on safety bars, trail maps, lunch tables, and uniforms) that have helped decrease CO2 emissions by four percent from 2000 to 2013—despite the addition of new lifts, hotels, and other facilities—and keep climate change top of mind. This is not greenwashing. Schendler insists on transparency, and each year, Aspen issues a sustainability report that showcases their successes as well as a breakdown of their (many) carbon emissions, which is extremely rare. Aspen also uses its voice to push others to act. 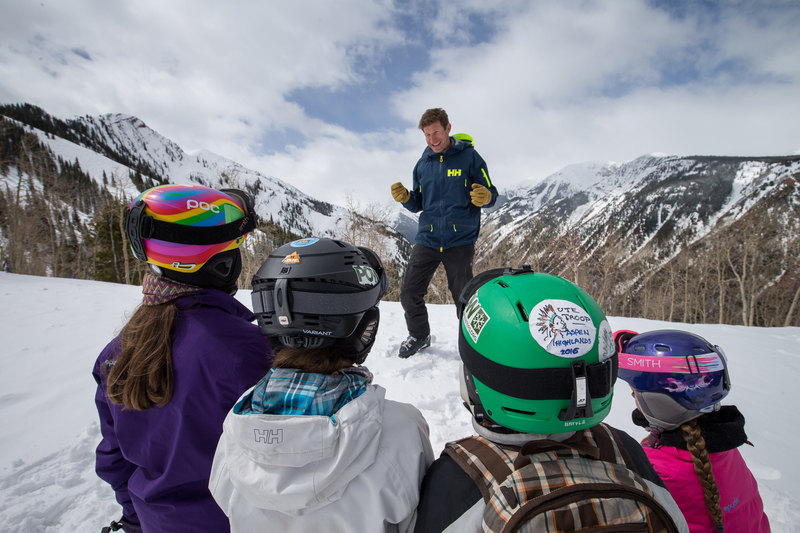 "[Aspen] has been a leader on organizing ski resorts to advocate for stronger policy action on global warming," says David Hawkins, the director of the National Resources Defense Council's Climate Program. "Auden was an early leader for this effort and has been very effective in garnering support." Schendler is also clear about his primary goal, which is to use the outdoor sports community to drive policy change. Schendler has made 15 trips to lobby politicians in Washington D.C. and, often accompanied by ASC CEO Mike Kaplan, they regularly do the same in Denver. Schendler's book cover has an image of a well-used work glove, symbolic of the dirty labor it takes to get businesses, especially large ones, to change how they operate. "I always thought that toughness and tenacity and grit were more important than intelligence and savvy and strategy," he says. And yet, climate change is such a massive issue—the world needs to reduce its carbon emissions to net zero by 2050 to stave off four degrees of warming, the amount widely understood to be the tipping point for global catastrophe—that Schendler knows Aspen's efforts, and his own, are but a drop in the bucket. Aspen itself, for example, embodies the excess of America like few other places. Schendler, who lives with his family of four in nearby Basalt, is quick to acknowledge that the town has some of the most expensive real estate prices in the U.S., not to mention the dozens of private planes lined up at the Aspen airport. He insists, though, that this town of 7,000, perched at 8,000 feet, can use its pedestal as a lever for good. "You could say it's the center of affluence, that you should go work in Bangladesh where people really need help," he says. "But the power's here. This is the place where you tweak a few people, you might drive substantial change. So we see Aspen as a laboratory, but also as a lever. We can try stuff, we can succeed and fail and push it out into the world." SCHENDLER IS SELF-DEPRECATING, affable, and handsome—built tall with a big smile. He is named after the influential English poet, W.H. Auden. He grew up in Weehawken, New Jersey, which has views of Manhattan. His mother was an art historian. His father, who died at the age of 64 when Schendler was 16, was a brilliant and eccentric bibliophile who worked odd jobs, spoke seven languages, tried pursuing five different Ph.Ds (completing none), and had over 30,000 books. Father and son often spent hours together in thrift stores and bookshops. Schendler fell in love with the outdoors as a child when making visits to North Dakota, where his mother's family lived. He did not like New York. From a young age, he considered himself a person of the outdoors, an environmentalist, and a Westerner. In college at Bowdoin, a small liberal arts school in Maine, he read Jack Kerouac's "On The Road." "To this day, it's one of the most important and influential books I've read," he says. "I really got this sense that you should huck yourself out into the world with absolutely no plan." With that sentiment in mind, he found a ride to Valdez in 1989 to help clean up after the Exxon oil spill. He ended up working in a cannery there. As a junior, the lifelong reader and writer was an intern at High Country News in Paonia, Colorado. He continues to write for Huffington Post and other media outlets. After graduating from college in 1992, Schendler weatherized trailer homes. It was brutal labor that he says gave him street cred. He taught high school before working as a researcher at the nonprofit Rocky Mountain Institute. In 1999, ASC hired him to lead their 2-year-old sustainability program. He lives in a modest red home with his wife, Ellen Freedman, who serves on the board of the Valley Settlement Project, which helps integrate the Latino population into the community for the benefit of both, and their two kids, Elias, 9, and Willa, 12. They are both precocious. Willa recently earned her black belt. In July, Parade Magazine featured Elias for the extensive gnome collection he has in his room and throughout the Schendlers' backyard. 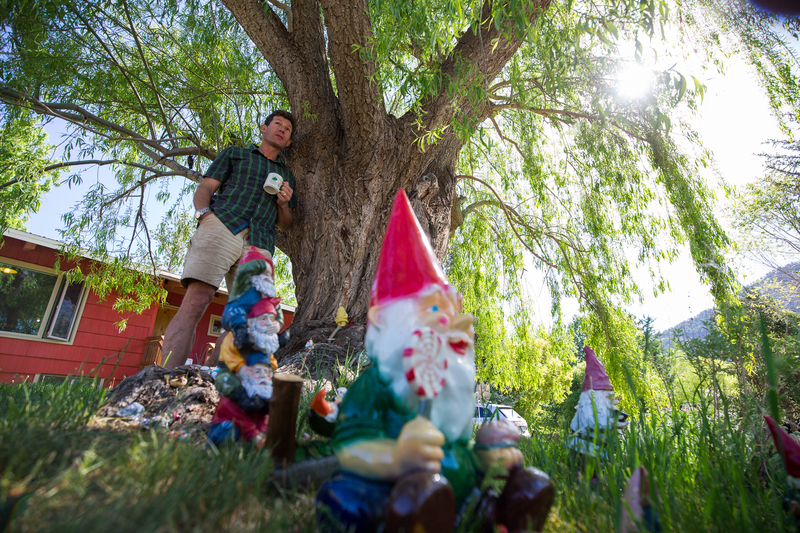 Schendler used his post as a Town Council member to establish a "Gnome Building Zone" in Basalt, for kids to connect with nature and "build fairy houses out of bark and rocks and whatever they find." Elias recently asked his father if the world was going to blow up. It was a brutal notion for a 9-year-old to have in his head, and a troubling question for Schendler to have to answer. It reminded him of his favorite book, the dystopian Cormac McCarthy novel, "The Road," in which a starving father and son navigate a post-apocalyptic world, avoiding cannibals and suicide, holding out hope that they'll find "the fire"—something left on Earth that is good. "That is the climate problem," says Schendler. "We're in danger of not being able to take care of our children. The whole book is about the beauty of being alive and having a relationship with a child or another person, even in a shattered world. There's beauty in this world even as we fight these Tolkien-style battles of good versus evil." Schendler, for whom it's very clear that his favorite position is that of father, recited a memorable quote from McCarthy's book: "When he went back to the fire he knelt and smoothed her hair as she slept and he said if he were God he would have made the world just so and no different." "To me that's profound," says Schendler. "And that bears directly with what we're doing. We're trying to maintain this incredible world in its current state." "Inaction on climate is absurd now for any business, let alone ski resorts, because climate has become a clear and present threat to all business models." SCHENDLER’S HOME IS RETROFITTED FOR EFFICIENCY, from his appliances to thick, sealed windows, LED lights, and thorough insulation. He is adamant that these are not efforts to pat himself on the back. He understands that they do not fix anything. To actually make headway against mitigating climate change, America needs to institute policies that make these concepts the standard, he says. The really effective work is in creating a social movement and pressuring politicians to institute a scale solution. "You can take these really token operational actions and stop there, and 'you've done enough'—and that's a failing," he says of the slow-to-mobilize ski industry. "That's inadequate. And it needs to change, and it's not clear to me that it will change." Beyond reducing their carbon footprint and using their voice to advocate for climate action, Schendler believes businesses should educate customers and employees. Most, though, don't want to stick their necks out. "Inaction on climate is absurd now for any business, let alone ski resorts," he says, "because climate has become a clear and present threat to all business models." TO SPEAK EFFECTIVELY ABOUT THE ENVIRONMENT takes a unique personality. You have to seriously acknowledge the very dire realities while being optimistic enough to foster hope. You have to communicate the problem in a way that isn't fatalistic and thereby diminishes the chance of trying to curb the problem. That is Schendler. He knows the science doesn't look good. He believes the world will be a fundamentally different place in 50 years. "I think it's going to be a lot worse than anybody thinks," he says. And yet, he laughs a lot. He's excitable and inspired. On the final page of his book, Schendler uses a quote from the Talmud that's revealing in how he remains so positive: "You are not expected to complete the task. Neither are you allowed to put it down." Schendler knows he isn't going to solve climate change, but he sees the work as virtuous. "Personally, the work I do on climate I see as a practice, like martial arts," he says. "You don't say, 'I am doing martial arts to achieve something.' No, I am doing martial arts; it's how I live my life. So I live my life because it makes sense to work on this problem. What else would I do? So that's how you wake up in the morning." IT WAS A GRAY SATURDAY IN LATE FEBRUARY when I went skiing with Schendler, Willa, and Kaplan, the ASC CEO and Schendler's boss. The motions of a day on the hill took over. Temperatures were in the 60s the week prior; lifties wore shorts. But now it looked like it might snow. As we rode a series of chairlifts, Schendler and Kaplan engaged in a solid, quick-witted banter. The two spend a lot of time together, and get a lot done. Now, they were just skiing. And they ski fast. Schendler, though tall and broad-shouldered, skis gracefully. Kaplan is more quick and technical. After skiing a particularly narrow and steep slot with inconsistent snow, Schendler said, "Well, that was thought-provoking." Willa kept up with the conversation and the skiing all day—the type of child who is perfectly comfortable with adults. She has, after all, sat in meetings with her dad and elected officials in D.C. Early in the day, the four of us strapped our skis to our backs and hiked 800 feet up to the top of Highlands Bowl, at 12,392 feet. After a long conversation with a couple of patrollers, we put our skis on. Schendler dropped into G-8, a chute in the bowl. His edges dug firmly into the chalky snow, spraying the sides of the run, skiing powerfully but quietly. Willa skied right behind him, her style perfectly mimicking her father's. The day before I was sitting on the bench on Ajax during the last light of the evening, thinking about something Schendler told me when I asked him why skiing, an inherently energy-intensive activity, was even important when faced with the issue of climate change. "What are the characteristics of societies that are moving forward and progressing and becoming better?" he asked. "The answer is that you need time to reflect. You need opportunity to experience joy. You need arts and culture, because these are the things that push society into new realms. 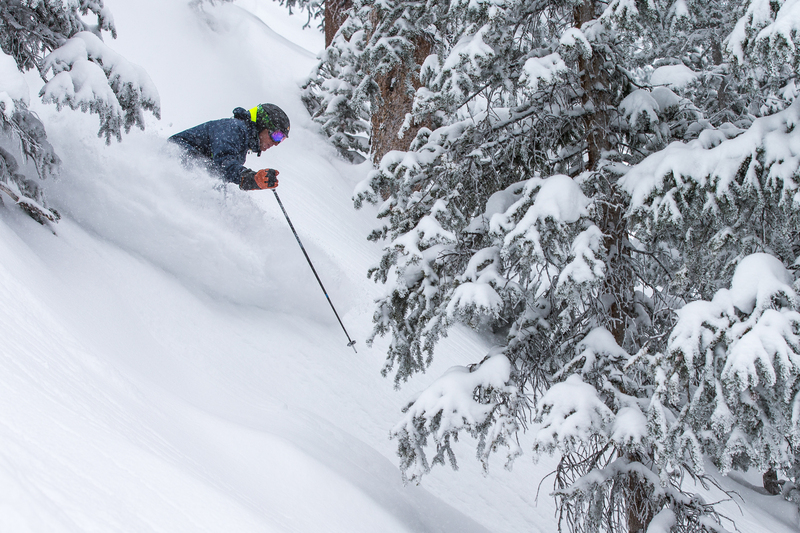 Skiing is part of that opportunity for freedom that allows society to progress."